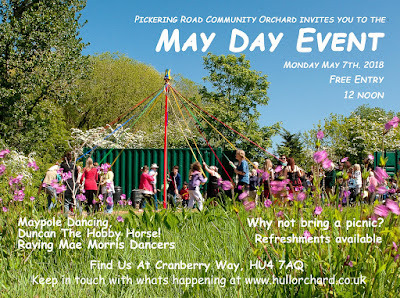 Pickering Road Community Orchard invites you to its May Day Celebration on Mon 7 May at 12 noon. There will be maypole dancing, Duncan the hobby horse and the Raving Mae Morris Dancers. Entry is free, there will be refreshments available and you are welcome to bring a picnic. 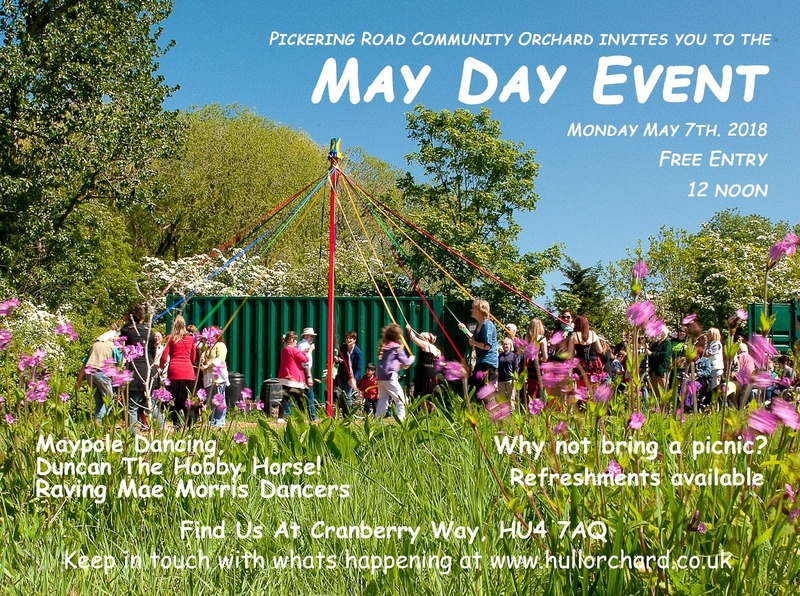 The orchard is at the end of Cranberrry Way, Hull HU4 7AQ but please park on Pickering Road as Cranberry Way is very narrow.